From eating something sticky to grinding your teeth, many things can cause your filling to become loose, crack, or even fall out. Although nobody ever wants to lose a filling, it’s a pretty easy fix, and there are even things you can do to help it before you get to our Austin dental office. 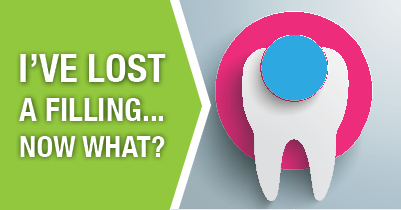 The best way to avoid dealing with a lost filling is to try your best to prevent it in the first place. While sometimes unavoidable, there are things that can cause your fillings to become loose, crack, or fall out include eating sticky or hard foods, grinding your teeth, or clenching. To avoid losing a filling, limit the amount of teeth-damaging foods you eat, and visit your Austin dentist if you clench or grind as you may be causing more damage than simply losing a filling. If you do lose a filling, the first thing you should do is call our dental office in Austin immediately. My team will get you scheduled in our earliest opening and we’ll bring you in for an exam. During the exam, we’ll talk about how you lost the filling and what the best options are for restoring your tooth. In some cases, we can place another filling. If the filling was large, we may need to consider another treatment option like a crown. Although a lost filling is not always a dental emergency, it’s still really important to call us as soon as you can. While you’re waiting for your visit, there are some things you can do on your own to help. If you’ve lost a filling, don’t hesitate to call our Austin dental office as soon as possible. We’ll talk about the best options for you and get you back to smiling in no time. 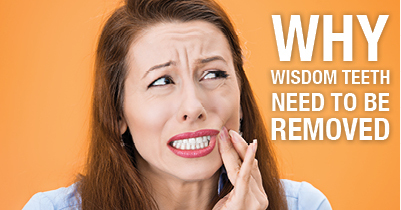 While some of us are born without wisdom teeth, which are not connected to your level of actual wisdom by the way, others develop four “third molars.” Often times it’s suggested that these so-called wisdom teeth be removed. Whether it’s due to impaction or overcrowding, wisdom teeth removal is actually pretty common. At our dental office in Austin, we want to make sure all of our patients understand that there are important reasons we often recommend wisdom teeth removal. Getting your wisdom teeth taken out is such a common procedure that over 90% of Americans undergo the surgery. But why is it important that these late-blooming teeth come out? Can’t they just stay in there? Sometimes they can, but if it’s recommended that they be removed, it’s to keep you from additional problems. The top reason most wisdom teeth need to be removed is the lack of room remaining in the mouth. If there isn’t enough room for the teeth to fully erupt, they can remain partially or completely under the gum line. If they stay this way, the chance that they could become trapped in the bone increases. Once the teeth are “stuck” in the bone, they are considered impacted. Most dental professionals try to keep wisdom teeth from getting to this stage, which is why they’re typically removed in our early teens. If your wisdom teeth do become impacted, your Austin dentist will talk to you about whether it’s appropriate to have them removed. If the teeth have broken through the gums but don’t have enough room to fully erupt, they’re actually known as partially impacted, and are almost always removed because they become difficult to care for and can lead to greater oral health issues down the road. Another reason wisdom teeth need to be removed is that these teeth are waaay back there, making them difficult to care for properly. This means that your wisdom teeth are at increased risk for things like gum disease and cavities. If your wisdom teeth have already erupted, it’s important that you visit our Austin dental office so we can check for any decay or disease. If anything troublesome is found, the most logical solution may be to remove them and avoid further issues. The only way you should keep your wisdom teeth is if you have plenty of room, they’re healthy, and you’re able to care for them properly. If checkups at our dental office in Austin show that your fully erupted wisdom teeth are becoming unhealthy, or that your yet-to-erupt teeth will not have enough room, we will probably recommend getting them removed to keep your mouth in it’s best, most healthy shape.